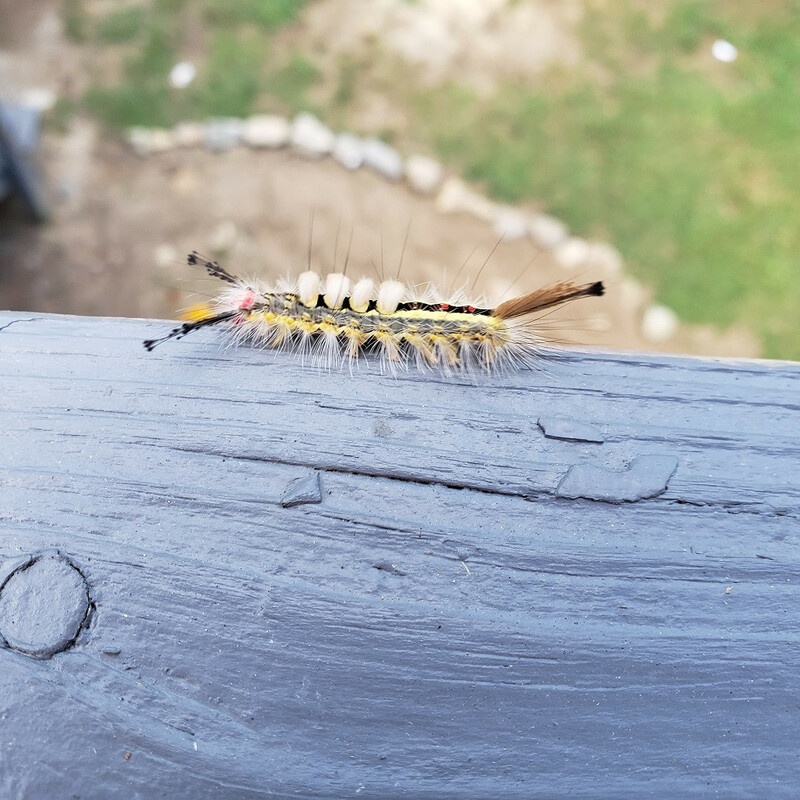 A friend found this caterpillar while hiking in the woods on Wachusett Mountain, in Central Massachusetts, United States, in the first week of September. It was on a fallen log under the leaves of a deciduous tree, but she didn't know the exact name of the tree. She only saw one. It appeared to be just over an inch long. It was close enough to touch, but she didn't want to in case it would sting or cause skin problems. The most unusual feature is a row of four white fur-looking tufts growing out of its back not too far from the head. I used "tufts" for lack of a better word since I don't know the real term. They look like toothbrushes to me! The body has black and yellow stripes. It has some small yellow circular areas on the black stripes. The head is bright red with tiny black eyes. There are also a few bright red spots on the back toward the tail. The two antennae are black, and the tail is brown. Pretty much the entire caterpillar is covered with white furry-looking spikes, including some in the front of the head that look like whiskers. There are black spikes dispersed along the body. These are longer and there are fewer of them than the white ones. There are no spikes coming out of the tufts. What is this fascinating caterpillar? What will it grow into and when? Is it poisonous or in some way irritation to skin? 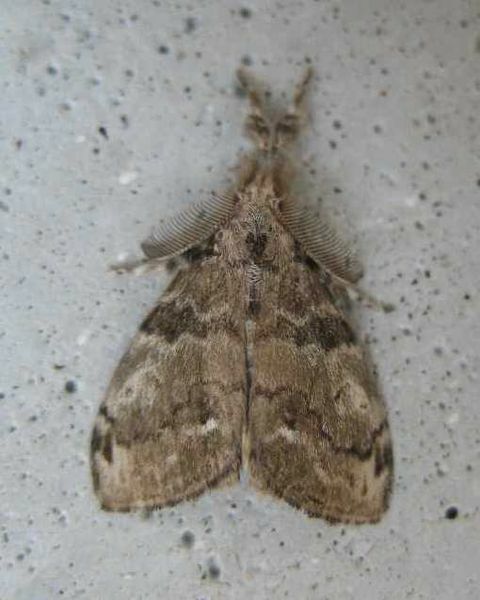 That is a White Marked Tussock Moth. The long, spiky tufts of hairs give fair warning to anyone or anything that tries to touch this species' larva. The caterpillar is covered with them and the chemicals that are transferred onto skin when touched can cause an allergic reaction in humans resulting in redness, irritation and welts. It also has four tight tufts of yellowish-white hairs that look like 'pom poms' on its dorsal side near the bright red head. These hairs are barbed, making them difficult to remove from skin. Not the answer you're looking for? Browse other questions tagged united-states trees animal-identification caterpillars moths or ask your own question. What is this small, bright yellow, mushroom found in the woods in Massachusetts?